I keep seeing these really adorable pacifier clips, but I thought I could probably attempt to make them myself! So, I did a little research and found out that they’re not so difficult to make. Also, one clip costs about $20, but you can make almost 20 clips for the same price. 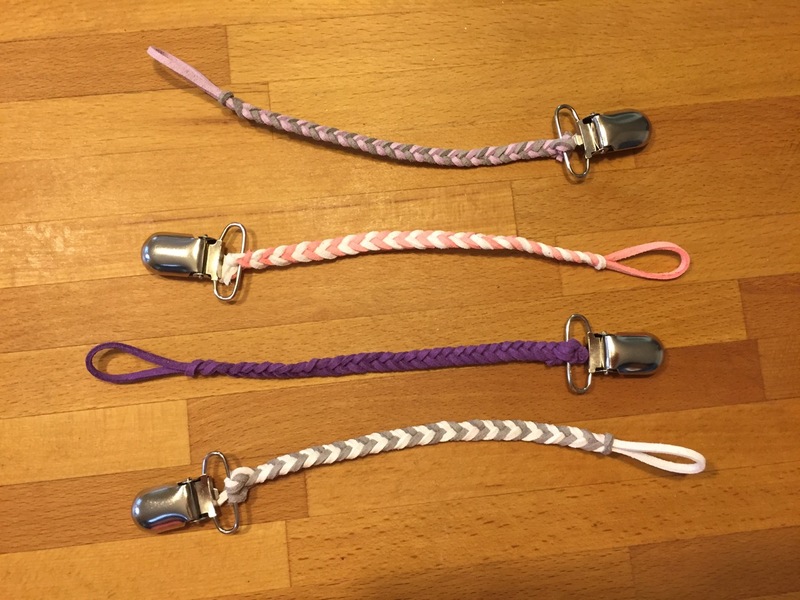 Here’s my tutorial on how to make your very own braided and bead pacifier clips. Step 1: Collect your supplies. I got these suspender clips from Amazon. I also bought this bag of colorful leather from Amazon. 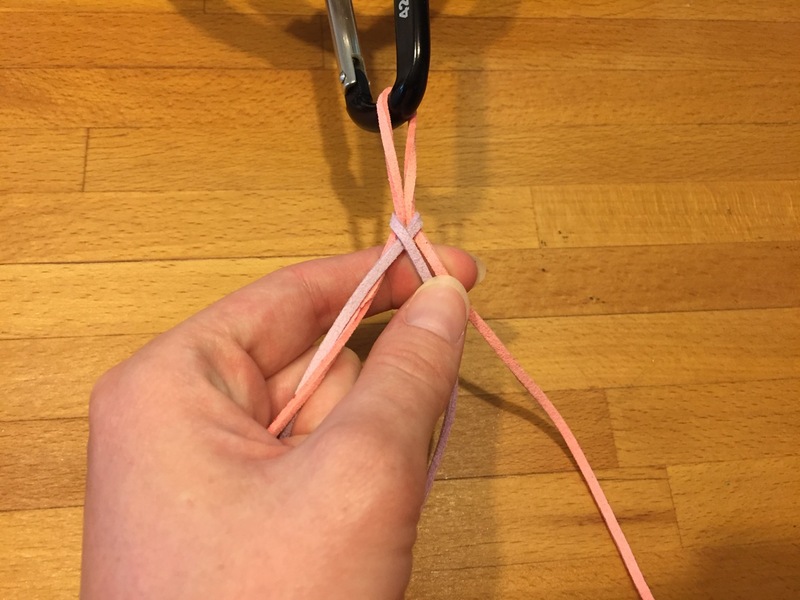 You’ll need some kind of large loop type clip or “S” hook to help you when you’re braiding your leather. Don’t forget scissors. If you are also wanting to make beaded pacifier clips, I got a bag of wooden beads and cotton cord from Hobby Lobby. That’s all you need! Step 2: Cut your leather pieces. I actually just cut these Amazon leather pieces directly in half. That ended up being the perfect length (about 20 inches). You’ll then end up folding that 20 inches in half. So your pacifier clip will be about 8 inches once you’ve braided, made your knots and added the suspender clip. Loop your leather piece around a clip. Then loop your second piece around the first piece. 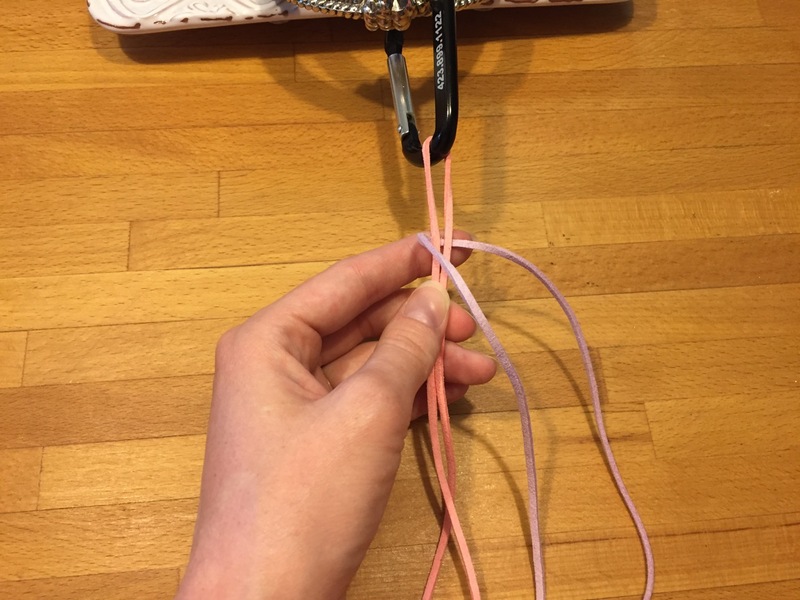 Cross your second piece like this…as you’ll be starting your braid. And then cross your first piece back over like this! Basically, you’ll just repeat this until the end. Step 4: Attach your suspender clip to the end of your leather piece with a knot. 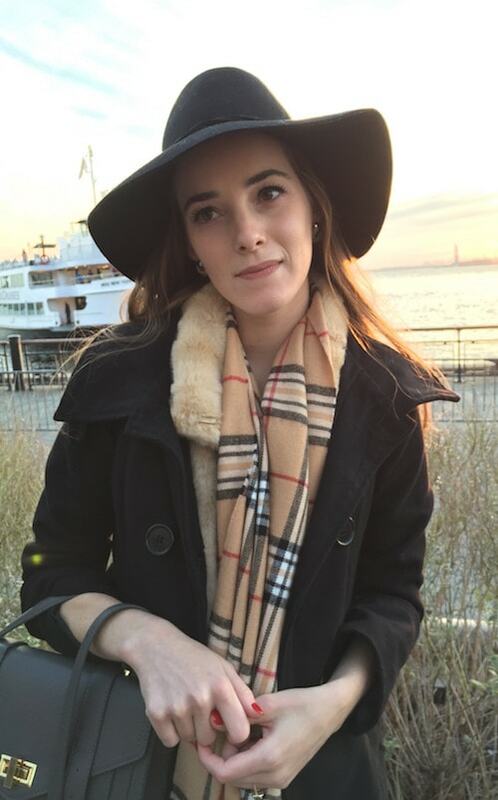 These leather pieces were very easy to tie! And when you’re ready, don’t forget to add the pacifier to the loop. 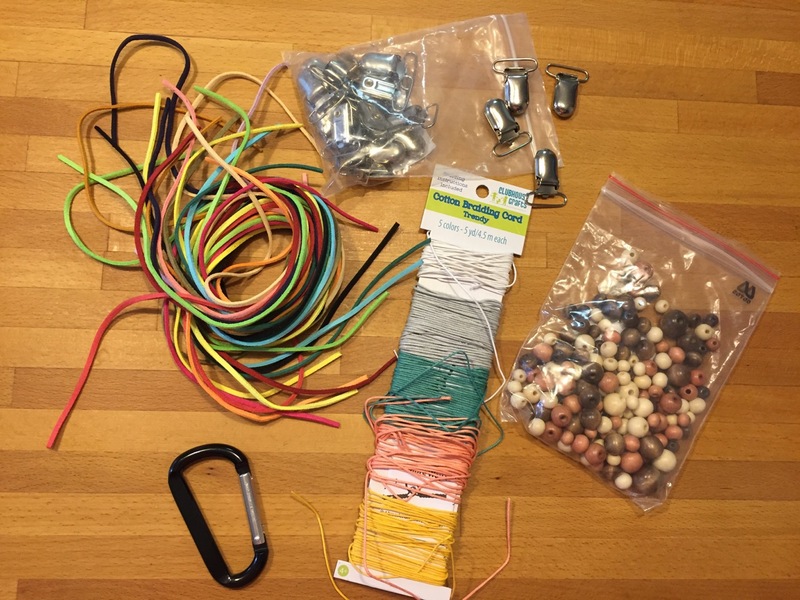 *If you want to make beaded pacifier clips, it’s just like making a necklace or bracelet. 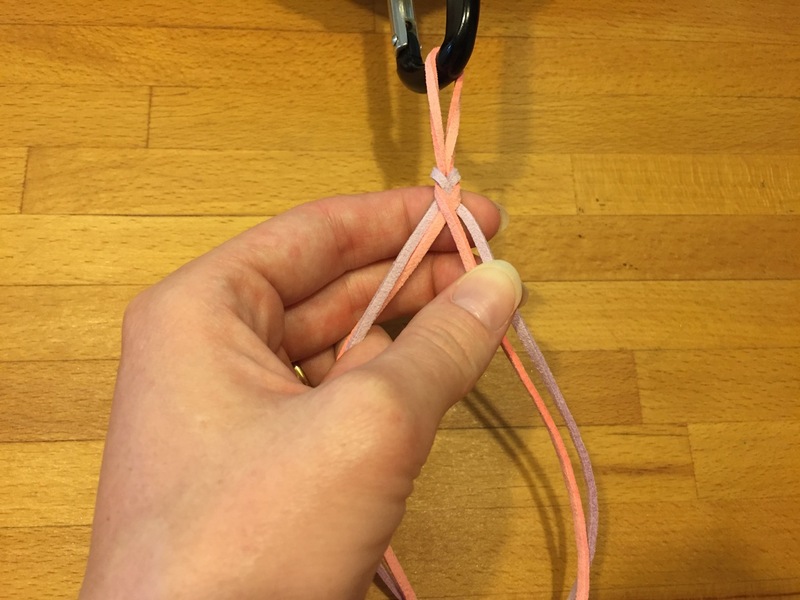 You make a loop, then string beads and tie the string to a suspender clip. You could do this with just about any type of beads!